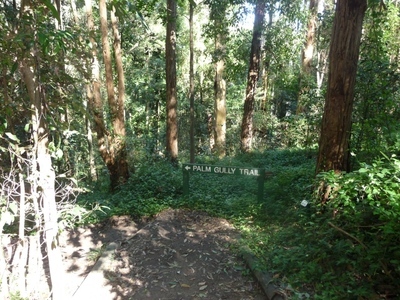 Bushwalks are a great Australian pastime, so it's always exciting to discover a new trail. 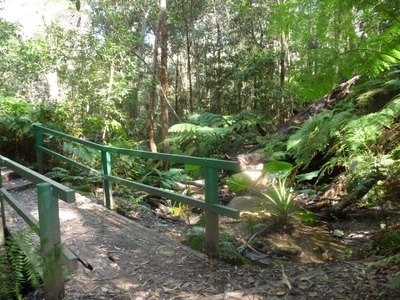 Cumberland State Forest provides a beautiful oasis from suburbia in Sydney's West Pennant Hills. 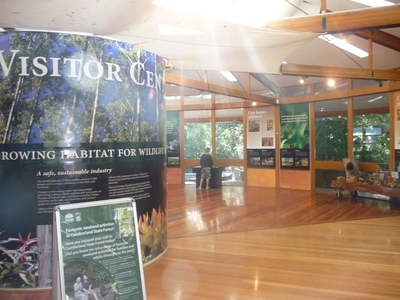 In the middle of the State Forest resides the information centre, which is certainly worth a visit. I was very impressed with the effort that had been put into it, including so much information and interactive learning for kids. Not to mention handy brochures including a map of all the different trails, something that is particularly important to someone with as notoriously horrible sense of direction as me. The Centre is open until 5pm each day, when the whole Forest is closed, but if you're looking for something a little more, various activities are run for both adults and children. The program is planned until June this year, including catered breakfasts and wildlife patrols, between $5.50 and $11 per person. There are several different tracks to choose from, all varied in distance and difficulty, and all providing picturesque surroundings that make the time fly. There is a walk for everyone and almost every fitness level, although I would suggest people with injuries might like to avoid the uneven stairs and stick to the easy walks. Don't feel like walking? There are several picnic areas complete with BBQs and plenty of classic wooden tables that make it easy to get a group together and put on a picnic. Even if you're feeling particularly lazy, there is a cafe located right next to the information centre. All the effort that has been put into Cumberland State Forest really pays off. Go by yourself, take your family or, yes, even take your dog. Why? Get a group together and get outdoors!